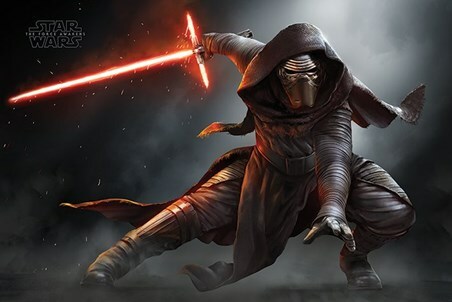 Feel inspired and ready to achieve your goals in the presence of The Star. 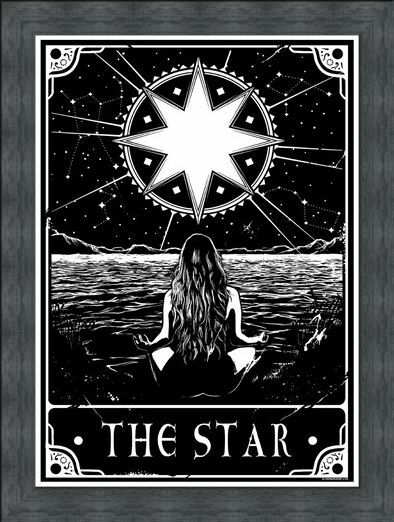 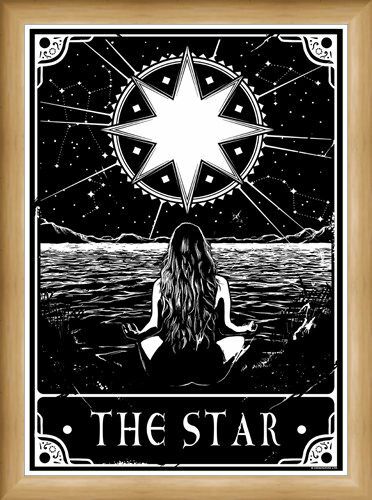 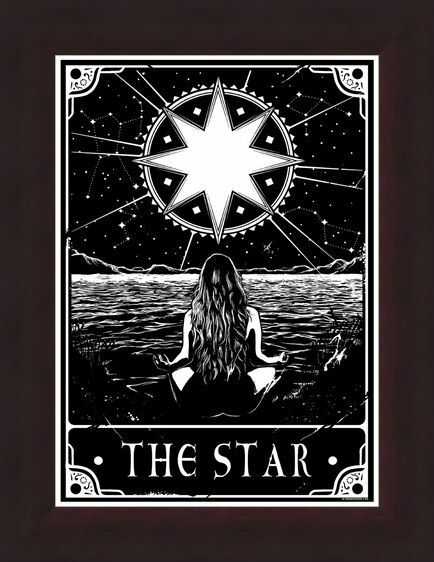 Depicting the beautiful design from tarot cards, this mini poster shows the mysterious naked woman seen on the card as she sits by the water in the stars beaming light. 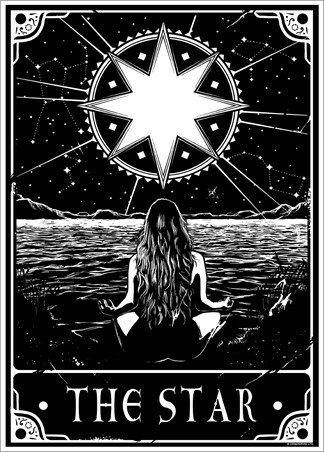 A renewal of hope, it will help you remember how blessed you are in this universe. 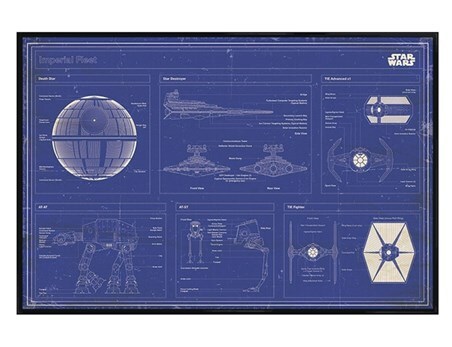 A gorgeous black and white print with delicate detail, those who live by fate and the stars will adore the peace this will bring to their home. 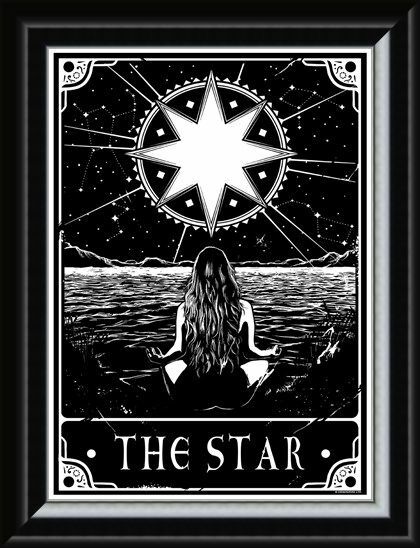 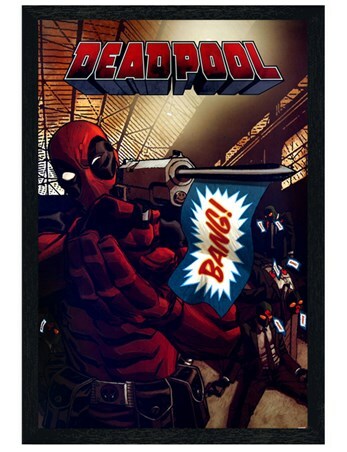 High quality, framed The Star, Deadly Tarot mini poster with a bespoke frame by our custom framing service.